The D300e provides picoliter to microliter non-contact dispensing of liquids directly into assay plates, and the software now features a PCR Wizard that guides the user through qPCR set-up. An updated software package offers new functionality and improves the device’s flexibility for genomics workflows. 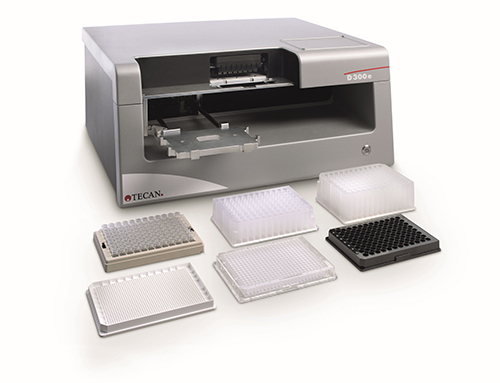 Accurate and reproducible plate generation and the low volume dispensing capability of the D300e provide a convenient solution for the miniaturization of qPCR assays, allowing up to a five-fold reduction in assay volumes without any loss of data quality. The instrument has the ability to use high-capacity D4+ cassette for reagent dispensing—increasing the capacity from 10 μL to 200 μL for small molecule and biomolecule dispensing.